Welcome! Whether you're a long-time subscriber or are new to our publication, we're excited to have you here! We're also excited to share our new format. Beginning with this edition, the Living Green 365 newsletter will be housed on the MPCA's Living Green webpages. 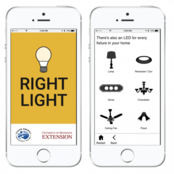 You'll continue to receive an electronic update with clickable links when new content is added, . If you like what you read and learn from Living Green 365, please spread the word and encourage friends and colleagues to sign up too! Creative reuse—taking discarded, worn, or broken items and creating new products—can help you stretch your budget and keep materials out of the trash. There is a vibrant and growing reuse community in Minnesota that includes businesses that take used items and repurpose them into beautiful, saleable décor pieces. 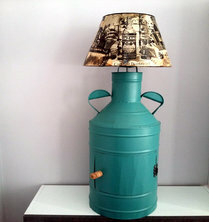 Some establishments also offer consumer workshops or classes that will teach you how to create your own inspired pieces. Sustainability Film Series - Luen Hai: Decoding the Connection. Thursday, November 9, 6 PM - 8 PM. Bell Museum Auditorium, 10 Church Street SE, Minneapolis. FREE. Come learn how America's dependence on technology impacts the environment and people around the world. This is the first film in this year's Sustainability Film Series. Enjoy the documentary from students at St John's and St Ben's Extending the Link group, followed by a panel discussion including industry experts and government leaders involved in the Minnesota Right to Repair movement. For more information, click here. Do it Green! 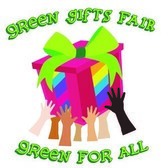 Minnesota's 12TH ANNUAL GREEN GIFTS FAIR. Saturday, November 18th, 10AM - 5PM. Midtown Global Market, 920 East Lake Street, Minneapolis. The Green Gifts Fair is a fun, family-friendly event designed to inspire Minnesotans to try a greener holiday season. There will be 80+ eco-gift vendors, community building activities, demos in multiple languages, a creative expressions lab, a silent auction, free music, a family passport with prizes and much more! A $1 donation will be accepted at the door.